One of my favourite things to do on vacation is visit hotels to admire the architectural designs and landscapes. I know.. it sounds boring... but it can actually be really fun...especially if you enjoy interior design. It's a lot easier to do when you're visiting an area that is densely populated with hotels. 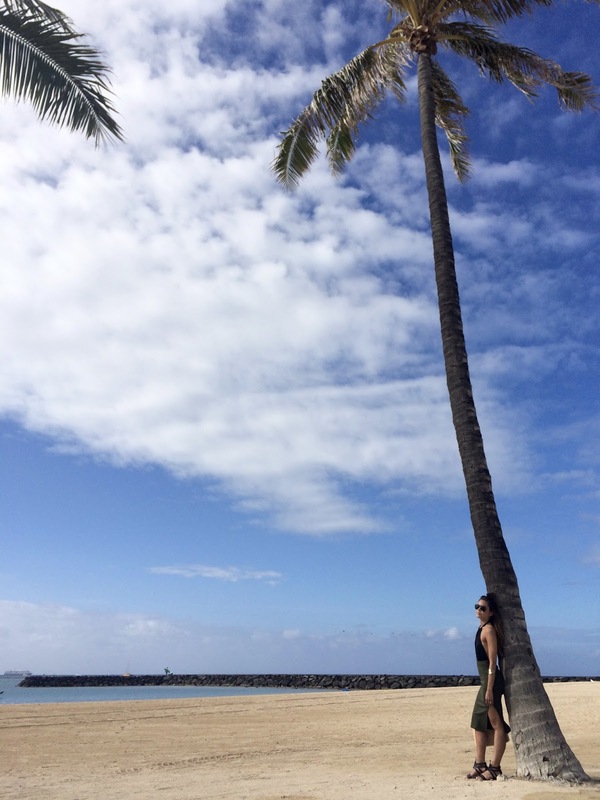 I have two favourite hotels on the Waikiki Beach strip: the Moana Surfrider and Royal Hawaiian Hotel. 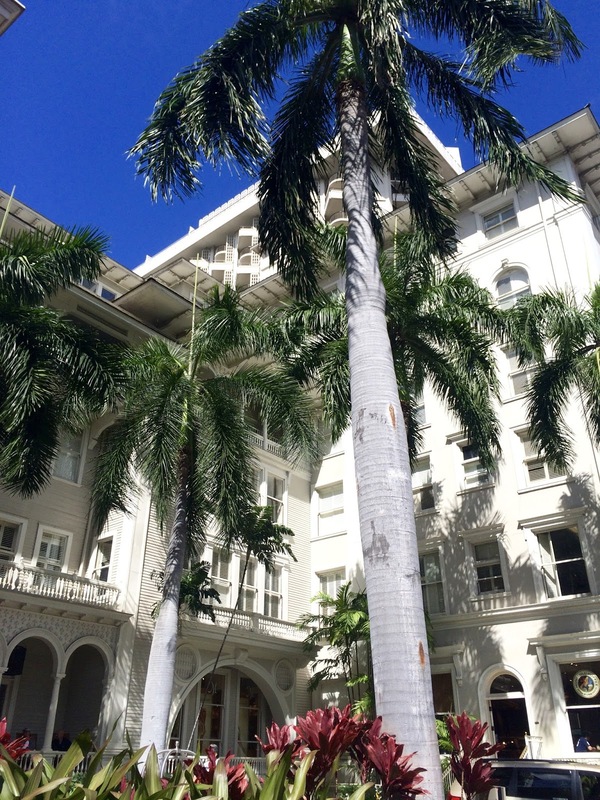 The Moana Surfrider has a very traditional colonial feel to it, with white pillars, white shingles, pretty much white everything! If you've ever seen pictures of my house or visited me, you know that I am all about the white! 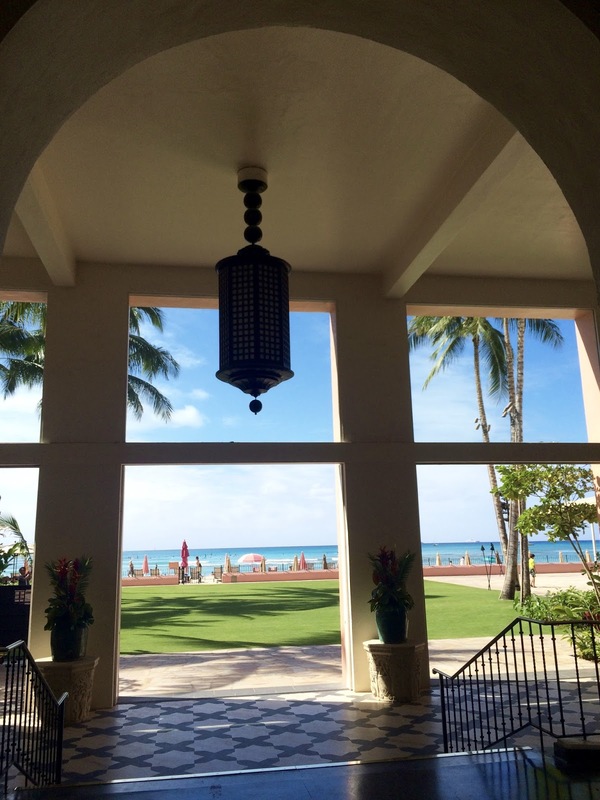 The Moana Surfrider also has amazing food that can be enjoyed beachside. 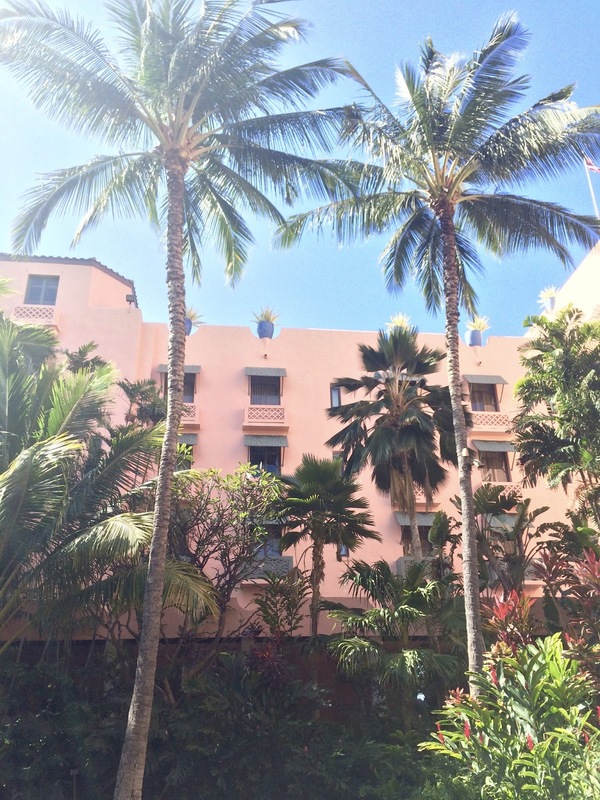 The Royal Hawaiian is another favourite of mine and has such a fun, girly vibe to it because it's all pink! Pink umbrellas, pink chairs and pink hotel building. 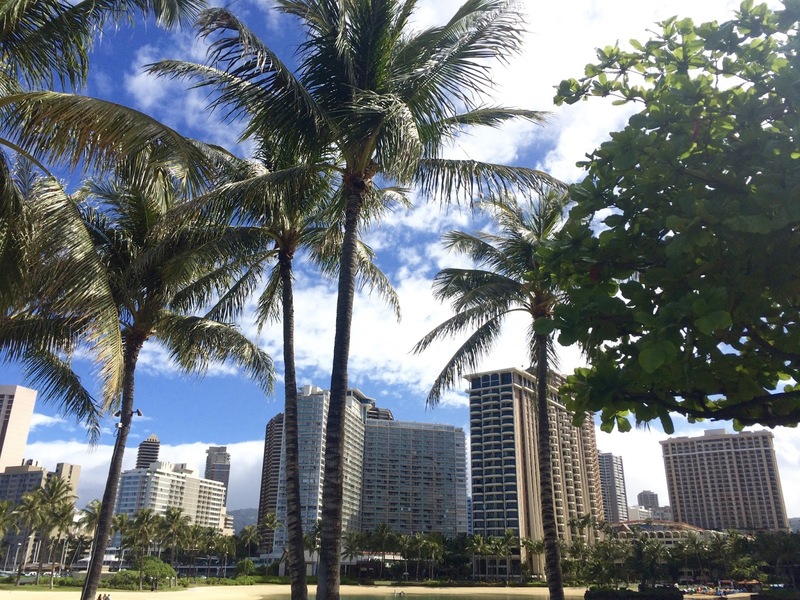 My dad took me to Hawaii for the first time when I turned 16 and the Royal Hawaiian and Moana Surfrider were the two hotels we stayed at. It was one of my most memorable trips (thanks dad!) so both hotels hold sentimental value to me. The hubby and I decided to walk through the beach after, so I thought it was the perfect idea to wear my one piece bathing suit with a cover-up skirt. 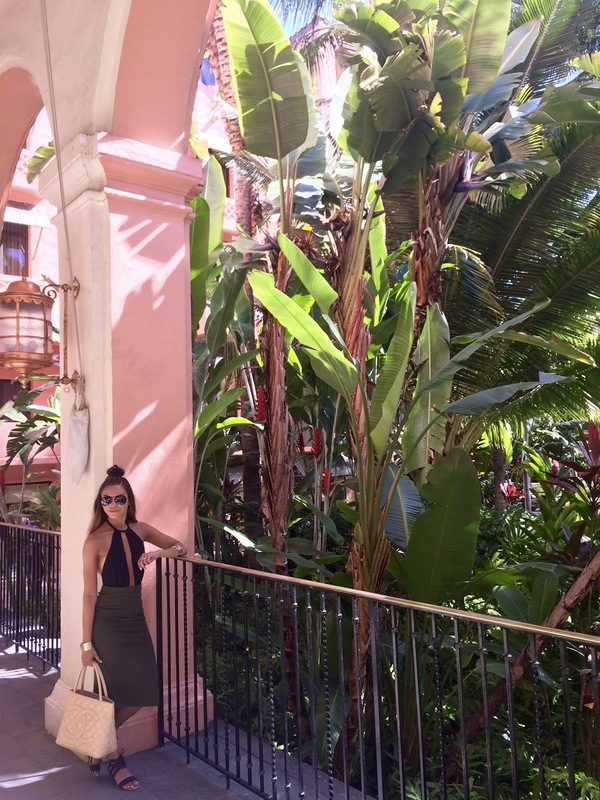 I could easily transition from hotel-hopping attire to beachwear within minutes!